THE INCREDIBLE JESSICA JAMES is a wonderfully funny, socially aware comedy starring The Daily Show's Jessica Williams as a smart, funny playwright struggling to find professional success and love in contemporary New York. Written and directed by Jim Strouse (GRACE IS GONE), the movie has wit, courage and infectious optimism. Williams plays Jones as a confident, opinionated but never obnoxious young woman of talent and flair. As the movie opens she's teaching kids theatre and helping them work out the issues in their lives while papering her wall with rejection letters for a play that she's writing. She's also trying to get over her ex boyfriend (LaKeith Stanfield) while starting to date Chris O'Dowd's loveable but slightly banal app developer. By the end of the film she's found fulfilment on both fronts, even though the ending places female friendship ahead of relationship success. The bare bones of the plot sound quite simplistic - and indeed the stuff of many romantic comedies. And poor Chris Dowd effectively plays the loveable schlub that he always plays. But as with LANDLINE, the focus here is on the female friendships and in exploring familiar movie plotlines with greater authenticity, audacity and sexual honesty. 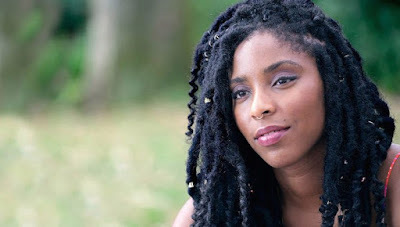 In all that, it's Jessica Williams who carries the day. The result is a film that is hugely funny and heart-warming but that isn't a memorable classic. THE INCREDIBLE JESSICA JAMES has a running time of 85 minutes and is not yet rated. It played Sundance and the San Francisco film festivals and does not yet have a release date.